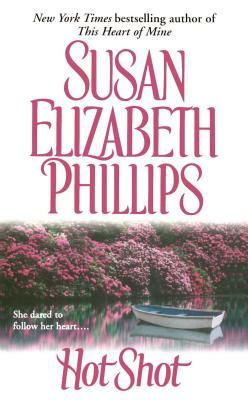 From New York Times bestseller Susan Elizabeth Phillips comes a glorious, heart-stopping love story as a woman called Hot Shot discovers a passion so rich, so tender, that she will be utterly and forever transformed. In a single, impulsive act, Susannah Faulconer, the daughter of one of the country's most powerful industrialists, follows her heart and finds herself severed from her family and everything familiar. As a cool San Francisco socialite, she'd known exactly how to behave, but now she's a lone woman in a world of men...and there's no etiquette book in the world that can teach her how to survive. The men are rebels, determined to take on corporate America with daring and vision, and they aren't going to let her play by good girls' rules. There's Sam, the charismatic visionary, on a rocket-driven ride to glory. And Mitch, the troubled corporate genius with no time for a rich socialite, no matter how beautiful. Together, they will force Susannah into the biggest challenge of her life as she tests her courage—and her love—in a bold experiment that will change them all forever.